Maybe there’s something in the soil mixed with the comfortable climate and fresh sea air, but the tasty terroir of South Coast of New South Wales seems to be one succulent gourmet secret just waiting to be discovered. 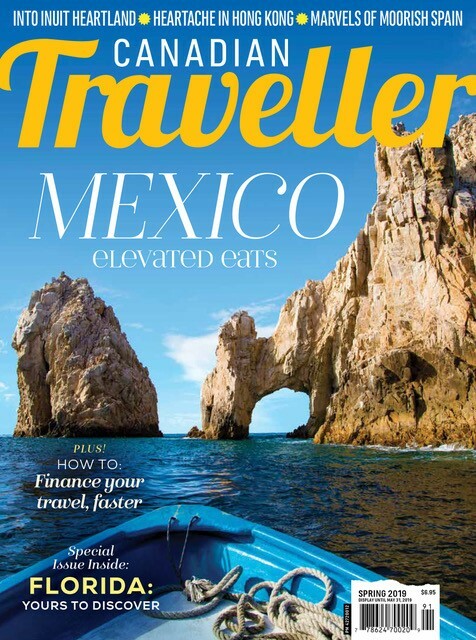 Stretching south from Sydney along the Tasman Sea and inland to the lofty Southern Highlands, the spectacular scenery, dramatic coastline, beautiful beaches, arty villages and lush landscapes have been a breath-of-fresh-air getaway for Aussies for years. Nicole Kidman and Keith Urban escape to their country retreat on this scenic stretch of Australia. Celebrity chef and sea “foodie” extraordinaire, Rick Stein, has also settled here, opening his famous Bannisters seafood restaurant at a tranquil seaside hideaway. Turns out the South Coast and ‘the Highlands’ getaway is a perfect place to a get a true taste of New South Wales with award-winning wines, gourmet foods, farm-to-fork fresh produce and authentic Aboriginal bush tucker from some of the most fertile land in Australia. This tasty region also boasts fresh-off-the-boat seafood along the newly branded Australia’s Oyster Coast. Australia’s Oyster Coast is a brand new name for this briny 300-kilometre stretch of shoreline from Shoalhaven to the Victoria border with eight major oyster-producing estuaries and almost 100 oyster farmers. Plans are underway for an Oyster Trail that visitors can follow down the South Coast to sample succulent fresh-from-the-farmer oysters. 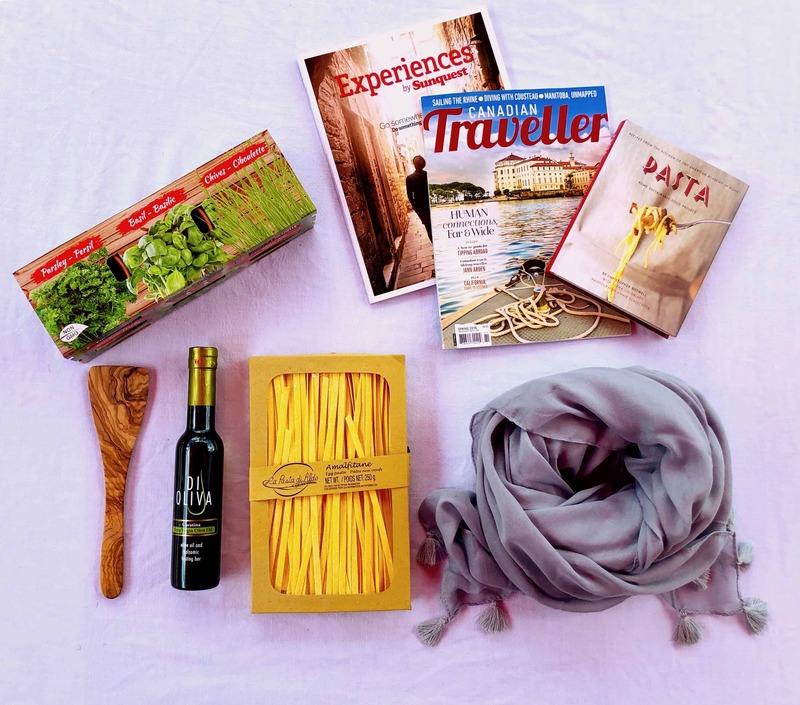 Getting to this foodie paradise is half the fun, following the scenic coastal Grand Pacific Drive south from Sydney, meandering 140 kilometres along one of the most stunning stretches of road in Oz. From Sydney’s lush Royal National Park (the world’s second largest) past soaring hang gliders at Bald Hill, over iconic Sea Cliff Bridge and dodging drenching sea-spray at Kiama Blowhole. This drive is even more amazing from the back of a Harley. “Our one-hour coastal drive along Grand Pacific Drive is the most popular Harley ride but my favourite is the half-day winery tour, with stops at several of the 15 wineries we have here on the Shoalhaven Coast,” says mutton-chopped Steve Melchior of his Just Cruisin' Motorcycle Tours. Our first stop is the Coolangatta Estate winery, proudly perched on the site of the first European settlement on the South Coast. Snuggled into Shoalhaven Head with Mount Coolangatta standing sentinel, the family-run vineyard is alive with history – the fantastic old farm buildings and convict cottages now converted into comfy accommodations. “The citrus flavours of our Semillon are a perfect match for the region’s Greenwell Point Oysters,” says cellar door manager Ben Wallis as we sample delicious local oysters and his family’s award-winning boutique wines. 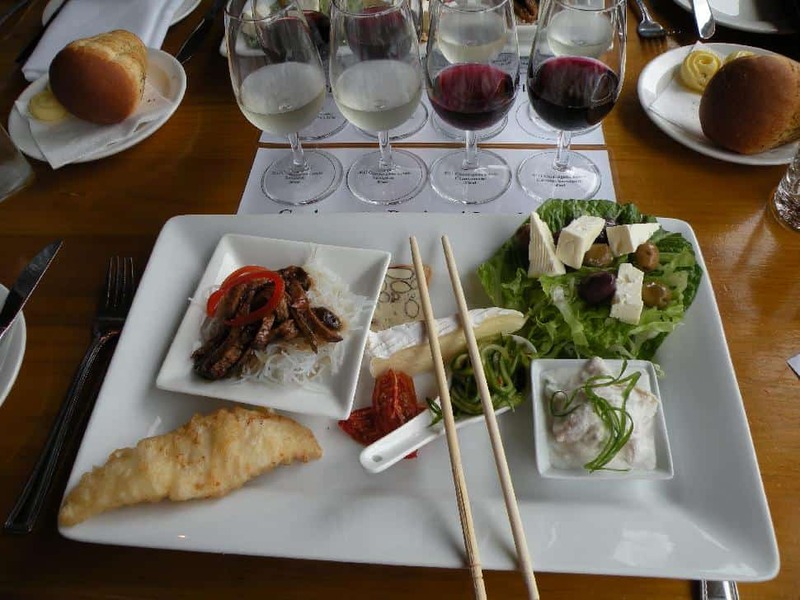 “You’ll get to look around our lovely region and meet the folks who grow the food that’s here on the regional tasting plate in front of you,” says Wallis of Coolangatta’s signature lunch dish including local cheeses, fish, meat, produce and breads paired with four estate-grown wines. We’re off to meet farmers Fiona and Adam Walmsley at their picturesque ocean-view Buena Vista Farm specializing in pastured eggs and ethically raised chickens, free-range pigs, bees and coffee. Next, market gardener Jessica Taylor shares her passion for growing food sustainably and “eating local” at Feast Farms. Heading inland to charming little Berry – the perfect name for a foodie town – Jacqueline introduces us to several shop owners as we sample our way along the town’s historic main street lined in handsome Victorian buildings. Carol and Ian of South Coast Providores make their conserves and preserves in the traditional French style – hand-made in small batches with over 85 per cent of their ingredients coming from local farmers and growers, while Belinda shares her chocolate-making secrets and mouth-watering samples at Pompadour’s Chocolate House. The Berry Tea Shop is our last stop with a private tea tasting, a chat with owners Paulina and Cliff, and just when you thought you couldn’t eat another bite, a scrumptious slice of Paulina’s popular Earl Grey Tea Cake. Strolling along Jervis Bay’s famous White Sands and Shark Net Beach (the “whitest sand in the world” according to the Guinness Book of Records) is the perfect way to assuage our day of indulgence and make some room for some Aboriginal bush tucker fresh from Booderee National Park. 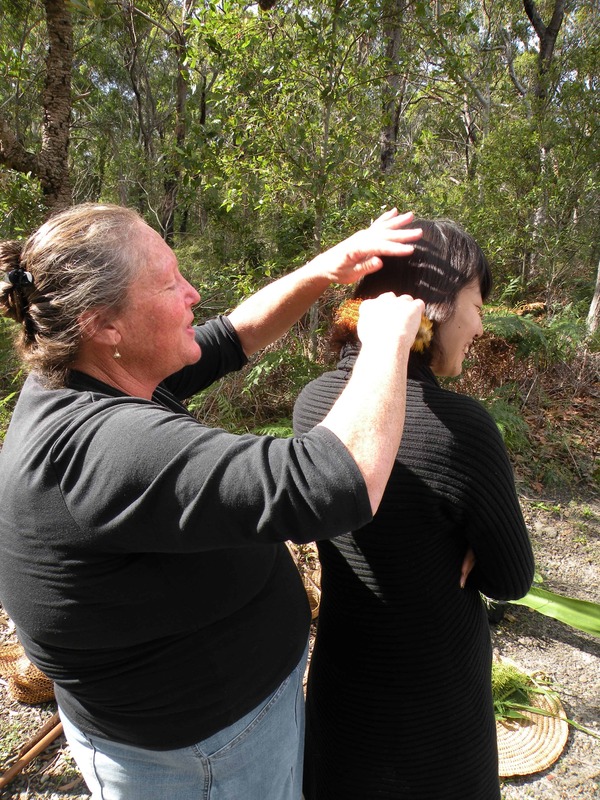 The bristly Banksia flower makes an excellent drink and can double as a hair brush or torch to light your way. The sharp Needle Wattle gets rid of warts. Every shellfish possible seems to thrive here, used for everything from food to utensils to adornment. The flourishing Saparilla plants can cure almost anything, from kidney and skin diseases to fevers and arthritis. Julie breaks off the young tips of leafy green Bracken for us to sample, its peppery taste perfect in a salad and roasted roots tasty bush tucker, too. 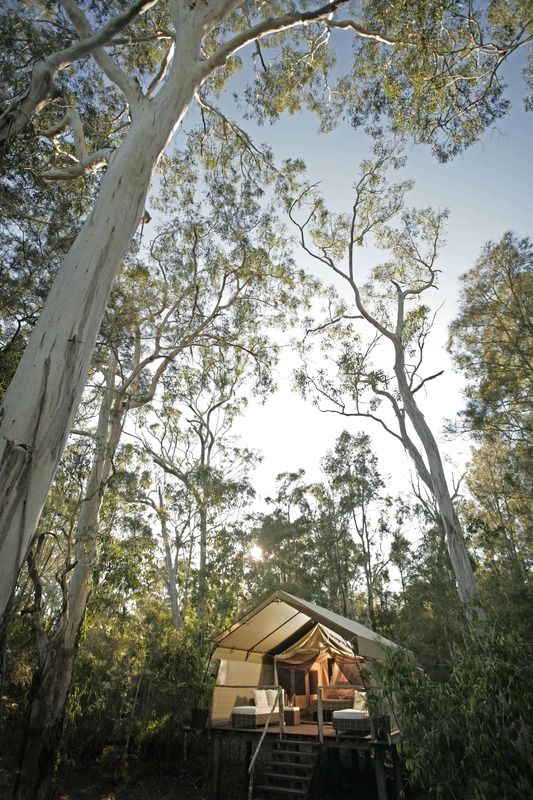 Paperbark Camp is another unique Australian bush experience – 12 safari style tents set amid a forest of flaky white Paperbark and towering Gum trees. My secluded tent even comes with a curious brushtail possum checking out my alfresco bathroom, complete with freestanding tub-with-a-view. The Gunyah (the Aboriginal word for place of shelter) Restaurant is the heart of the camp. Raised high above the ground to enjoy the sea breezes and bushy backdrop, this towering tree top restaurant has a well-deserved reputation for modern Australian cuisine using locally grown and sourced produce. A blackboard lists each day’s delectable dishes – some even baked in the camp’s paperbark. Boutique hotel Bannisters’ amazing cliff top location above beautiful Mollymook Beach makes it another perfect South Coast getaway, but it is TV celebrity chef Rick Stein’s seafood restaurant that’s attracting the foodie crowd. “Although we cannot guarantee a brush with fame, you never know who will pop up in the Highlands,” exclaims Jill Dyson of her FoodPath Culinary Tours. 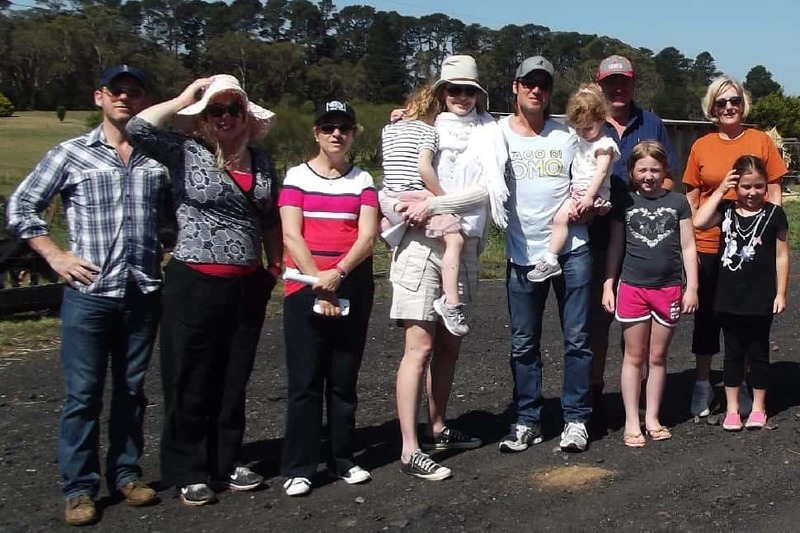 Nicole Kidman and Keith Urban bought a country retreat in the mountainous Southern Highlands several years ago and the famous Australian couple and their two kids recently showed up for one of Jill’s local dairy farm tours. “They came along as normal members of the community, listened to the talk, toured the dairy and watched the afternoon milking with the rest of us – and said they really enjoyed it,” Jill says, thrilled that the celebrity family were also happy to oblige for a group photo. Spending a day in the Highlands with Jill is always a foodie adventure; you might visit a yabbie creek, hunt for truffles, pick fruit at a local farm, feed some goats and geese, pet an alpaca, dodge cow pies at a beef farm, taste your way through wonderful wineries and relax at one of the many quaint village cafes. Who knows, you might even run into Nicole Kidman... Jill tells me Marmalade Cafe is one of her favourites. 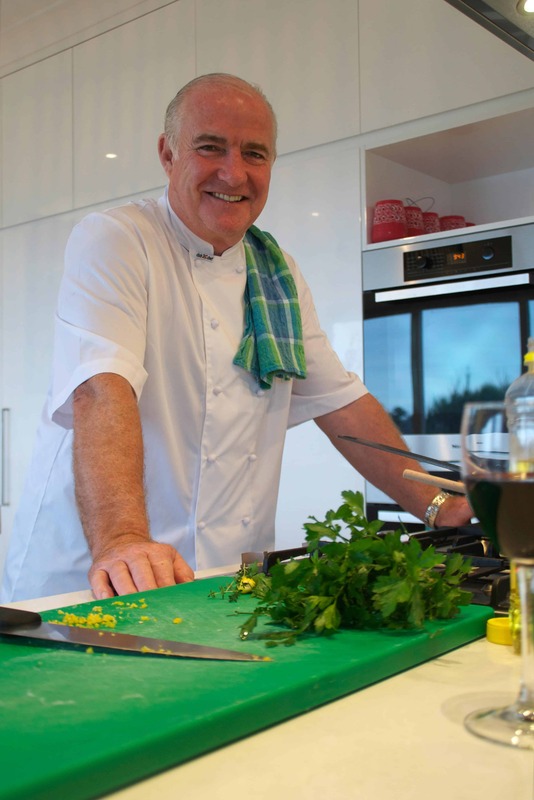 Rick Stein at Bannisters menu is a celebration of the great seafood to be found on the south coast of New South Wales. Try their tasty Tempura Oysters for yourself. 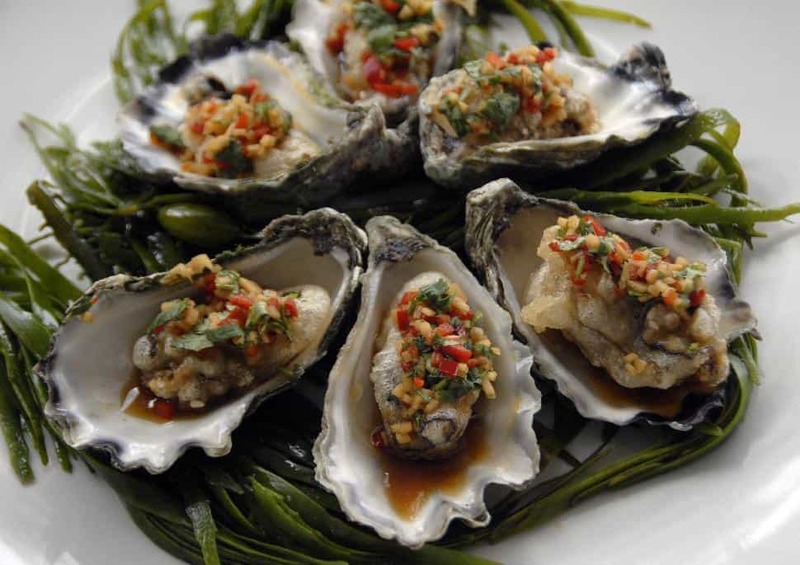 Remove oyster meat from shells and place onto paper towel to dry. Pre heat deep fryer to 180° C (alternatively heat oil in large pan and test with a small piece of bread – it should go golden in colour). Clean shells under water and dry. In a bowl, mix arrowroot and 2 tsp plain tap water to make a slurry. Then mix soy sauce, water, lime juice and warm in a small pan. Once warm, add 2 tsp of the slurry mix to the dressing and leave to cool. Once chilled, add chili, ginger and coriander and mix well. In a bowl, mix flour and corn flour together with sesame seeds and salt. Slowly add soda water using your fingers to mix. Batter should be slightly lumpy and cold. Place into fridge. Ensure oysters have lost excess water then place them into the batter and mix them through. One at a time drop them into the hot oil and fry for one minute. Drain on paper towel then put the oysters back in their shell and arrange onto four plates. Mix dressing well and spoon over oysters, and serve with lime wedges.